Planning a Disneyland vacation? Tickets are bound to be one of your biggest purchases. These Disneyland Planning Tips for Number of Days in the Park are a great place to start in figuring out how long to stay. It can be tempting to only go one or two days to help save money, but how much time do you really need to have a great Disneyland vacation? The answer might surprise you. 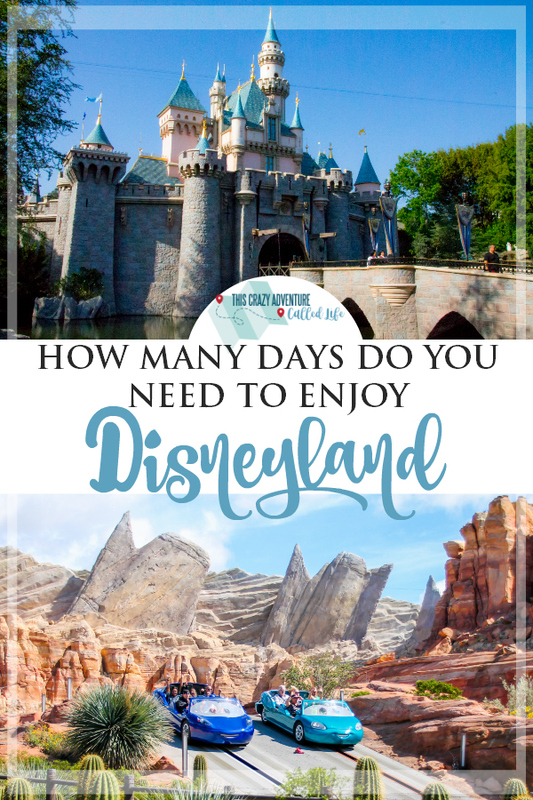 After dozens of trips, I am sharing how many days at Disneyland is the right amount? If you have visited Walt Disney World, or spend time talking to those who are regulars of the East Coast Park, they will tell you Disneyland is small and you can probably get it all done in one day. I am guessing they have never been to Disneyland. 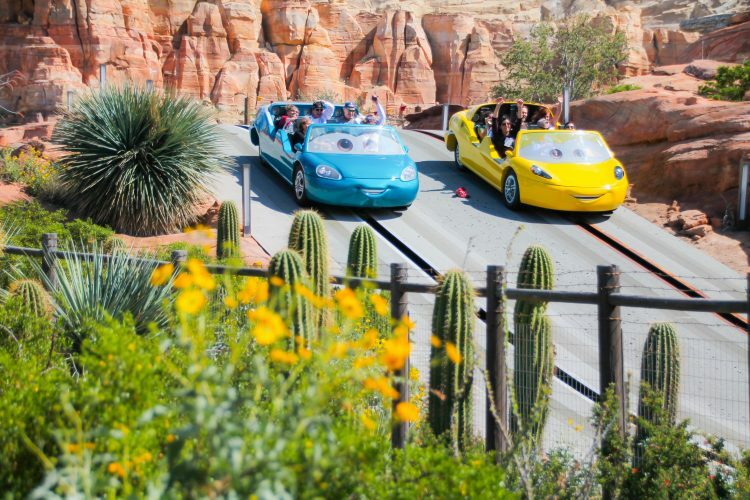 There is plenty to do at Disneyland Resort that you can easily spend a full five days enjoying the parks. But let’s figure out how many days you REALLY need at Disneyland. Spoiler alert: The answer is going to vary depending on your situation. How Many Days At Disneyland Will Actually You Need? Trying to figure out how many days you will need at Disneyland is a bit tricky. When I go solo, or with another adult, we can accomplish a lot in a day or two. But sometimes, even as an adult, it is nice to slow down and not rush from ride to ride all the time. If you want to do as much stuff as possible, you will probably want a five-day ticket. I have gone five days, a lot, and even with my knowledge of the parks, and wait times, I am still not always able to do everything I want in 5 days. Because the number of days you need at Disneyland can vary so much from person to person, I am going to break down each ticket option and say who it might work for. This Crazy Adventure Called Life TIP: No matter your group though, I always suggest a minimum of 3 days in the park if you are staying off-site so that you can receive a magic morning entry. Who Is One Day At Disneyland Good For? One day at Disneyland is good for those who may be in the area on business, have a way to get free tickets for one day, or are annual pass holders who can come to the park often. I do not suggest buying one-day tickets as you can spend anywhere from $100 to nearly $200 for your park ticket once you add on Park Hopper and MaxPass options. If you are going one day at Disneyland you can get a lot done if you have a game plan going in, but you definitely won’t do everything. It is definitely possible to still have a good day at Disneyland. In fact, if I were local and maybe wanted to take a toddler to Disneyland for one day while they were still free, it might be a great option. Well actually, I would probably take advantage of a SoCal Ticket deal, or other Disneyland ticket deal and spread out going a couple days over the life of the ticket. But it would still entail a few one day visits. Who Is Two Days At Disneyland Enough For? Two days at Disneyland is a great option for many people. First off, you can go to Disneyland for two days for not much more than a one-day Park Hopper ticket during peak season. Second, starting with two days, you can get discount tickets through Get Away Today. Click here to visit our ticket partner. Two days is a great option for those who are staying on site and may only be in the area for a long weekend. Since you are on site, you will get Extra Magic Hour both days, helping to maximize your time in the park. Two days is also an option for a solo trip, adults only trip, or even a teen trip. If you plan on only doing the thrill rides, you can get them all in within two days, and still have plenty of time to ride favorites again, shop, and check out some of the best Disneyland foods. Will Three Days At Disneyland Be Enough? I mentioned that the minimum I suggest, especially for offsite guests is three days. Three days is enough for those who mainly want to get in rides, not many shows, and know they can come back again, even if it will be another year or two. Three days is a great fit for families on a tight budget as well. 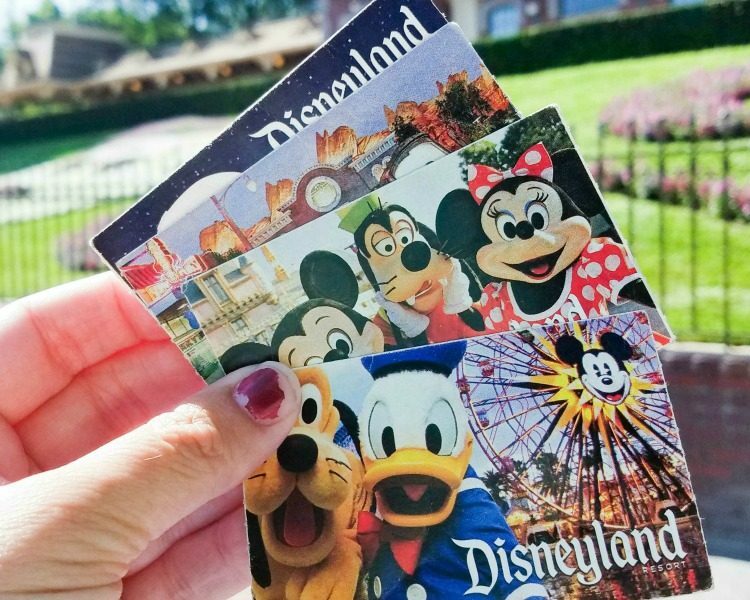 It gets you the Magic Morning Entry and also a great per day cost, but can also get you some of the great Disneyland Ticket Deals that are often for 3 or more days, like adults at kids’ prices. Three days also lets you feel a little more relaxed during your time in the park. Knowing you don’t have to rush to do everything in one or two days can help you enjoy your time in the parks a lot more. In all seriousness, I personally suggest families going to Disneyland with kids of varying ages (preschool, kid, teen, etc) spend at least 4 days in the park. 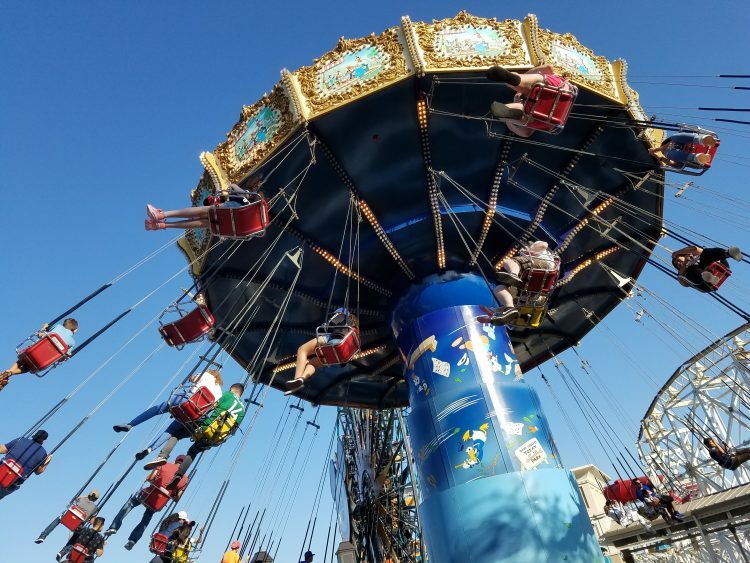 This will give your family enough time to explore all the younger kid attractions, as well as mix in the thrill rides that tweens and teens will want to do. 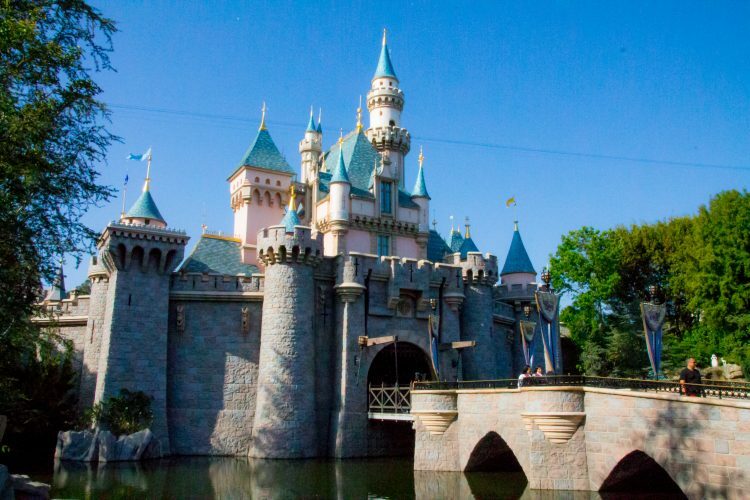 Disneyland planning tips will tell you that four days is also a great option for those who maybe want to take mid-day breaks or only spend a half day in the park one day. You can take it a bit easier, and enjoy some time shopping in Downtown Disney, go to a nearby beach, or even head over to Knott’s Berry Farm or another area theme park. Four days is also a great option for those who are arriving Sunday and leaving Saturday. It gives you 4 days in the park and a down day to do anything else or to just relax. Do You Need Five Day Tickets For Disneyland? I have spent five days in Disneyland, a lot. You would think that I would say you definitely need five days in the park right? Not everyone needs five days at Disneyland. In fact, if you do not handle crowds well, or you will be back to Disneyland in a year or two, you may find that five days is too much. Quite often when our family does five days at Disneyland, we find ourselves only spending a half day in the parks on the last day. It is not a big deal cost wise, as a five-day ticket is not much more than a four-day ticket, and Get Away Today often offers 5th day free deals, but sometimes every penny you pay extra counts. So who is a five day Disneyland ticket good for? Those who are not on a tight budget, and want to get in as much time at Disneyland as possible will enjoy a five-day ticket. This will give you enough time to enjoy many of the shows, parades, and also rides. Five days at Disneyland is also a great idea for those who have a full week and choose not to purchase a Park Hopper ticket. This will give you three days at Disneyland and two days at California Adventure (my suggestion) or you can switch those around and spend more time at California Adventure. I also suggest a five-day ticket to those who will not be back to Disneyland for several years, if ever. Five days will allow time for experiencing all the attractions, food, and shopping, as well as allowing for the learning curve of how to maximize your park time. Five day tickets are also great for Disney addicts who just want to spend all day every day in the parks. And if you find five days is not enough, you can use your five-day ticket towards an Annual Pass for Disneyland. If you have read this and decide that you want to spend at least two days at Disneyland, I suggest purchasing your tickets through Get Away Today as it will save you a few bucks off Disneyland prices. 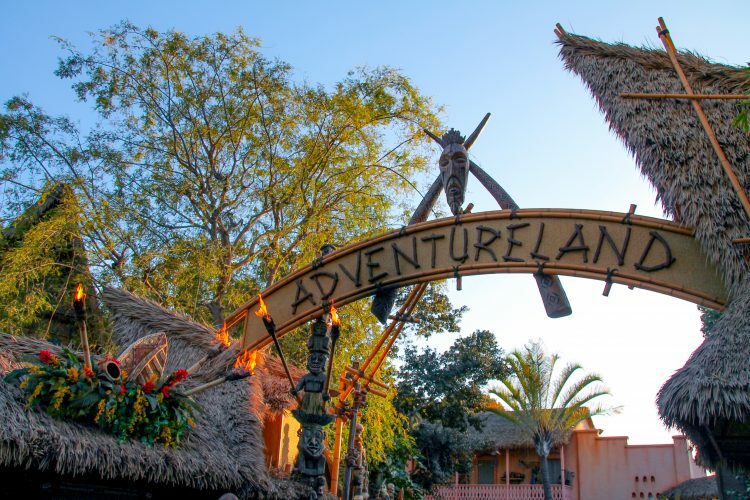 Better yet, book your vacation package through them and if you stay 2 or more nights and get at least 2 park tickets, you can use code CrazyAdventure to save an extra $10 on your vacation! Thank you for this post! We’re planning our trip for 2014. Hoping for five nights- two days at each park and one additional for hopping? Do you feel that it’s necessary for us to get a hopper ticket or stick to one day, one park? At that time the kids will be seven and three years old and this will be their first visit. I’m a WDW pro and I don’t believe the hoppers are beneficial unless you are a family without young children. I know that Disneyland and DCA are within walking distance, so I’m not sure what to think regarding tickets…thoughts? My answer on parkhoppers actually goes back and forth. I used to be a firm believer in them, but when I can get a 5 day 1 park/day ticket for only a few dollars more than a 3 day park hopper, I find it hard to justify the parkhopper. My general rule lately has been, if we go an odd number of days- no parkhopper (we always spend one more day in Disneyland then in DCA). If we go an even number of days we do a parkhopper. The only time that rule is not true is if we only go 2 days. But that has only ever happened one time. We usually go 3+ days. If you are going to want to get in all your favorite rides at both parks “one more time” before you leave though, definitely do a parkhopper. We are headed next month and have planned for 4 days, which is between your family and want to do it all so we will see how we do. Thanks for the advice. We had 5 day park hopper passes when we went with a 2 1/2 year old. We learned the first day that 4 hours in the park was our max. We went in the morning, stayed for 4 hours, little guy would fall asleep on the way back to the hotel, then we’d return for some nighttime fun. We did everything at both parks in three days, however my son hated every single ride except the Heimlich one, the carousels, and the train. I kind of liked that we didn’t have to really wait in line because I myself am not a ride person. I just enjoy the atmosphere, shops and parades they have 🙂 We did NOT run out of things to see with our 5 day park hopper passes though. We went on the carousel more times than I can count, and the train around Disneyland, also lots of character meet and greets! This post helps so much. 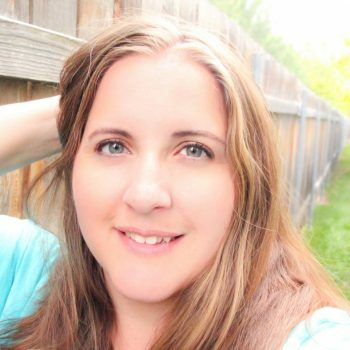 We are planning a trip with teens and a toddler. We planned on five days but thought that might be too long. I had the mindset you can do it all in one day. Granted we have never been to Disney California. We are looking forward to all the new things we have not seen and done yet. I hope five days is enough! We are going with a 7 year old and a 3 (turning 4 on our trip), along with my sister and her family who has a 3 (turning 4 on our trip), and a baby who will turn 1 during our trip. I am thinking of getting the City Pass which is a 3 day park hopper. I also want to do the Mickey’s Halloween Party. Do you think this will be enough time at Disneyland? I just want to be sure to fit as much as we can in since I’m not sure when we’ll ever be back! Are you planning on visiting one of the other parks on the City Pass? If so it is definitely worth it. Also, the ticket to the Halloween party will get you in a few hours before the event, so it will give you a 4th day in the park. This is a good amount of time. Just know that even with a 5 day ticket you don’t always fit everything in, so decide your must-do items and focus on those. I hope you have a magical trip. The last time we went was eight years ago with two five year olds, a four year old, and a two year old ( who got sick when he was away from home). We stayed for five days straight, no breaks. We felt by day five (day three into a very sick kid), it was too long. That was until we found a new ride we had missed, Buzz Lightyear Blasters. We went on it three or four times in a row. Our sick kid perked up and we looked around and still found things we had not seen the previous four days. Now we are planning another 5 day trip w/ a day off and a day in Buena Park. Everyone is now big enough to go on all the rides and hopefully we will be able to do all we want. I grew up down the road from Disneyland, so I only did day trips that were great as well. That is an awesome story! We have been four days before and felt it was plenty, and then gone five days and wished we could stay longer. There are so many factors. We have stayed in Buena Park several times and I think you will enjoy it, especially if you do Knott’s.